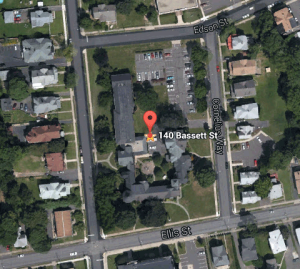 The Erwin Home is located in a residential area of New Britain, CT at 140 Basset Street. At end of exit, turn left onto Ellis St. Turn right onto Bassett St. Parking is across the street from the main entry door.